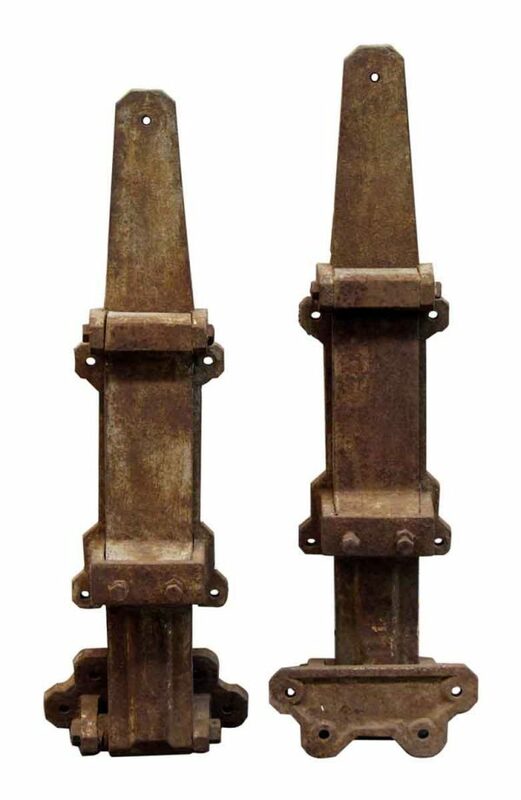 These are a heavy antique metal and can be used on a large refrigeration unit or freezer. They show some wear from age and use. Priced as a pair.